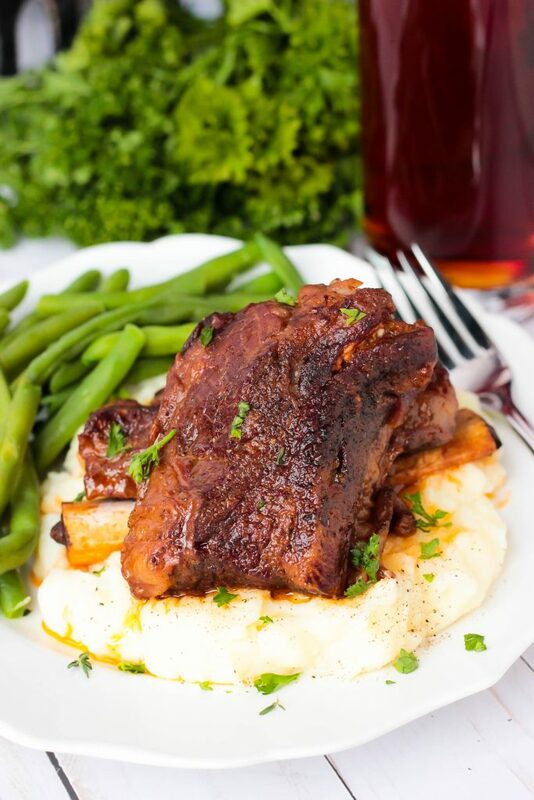 These Instant Pot Short Ribs are super tender and packed with tons of wonderful flavor! 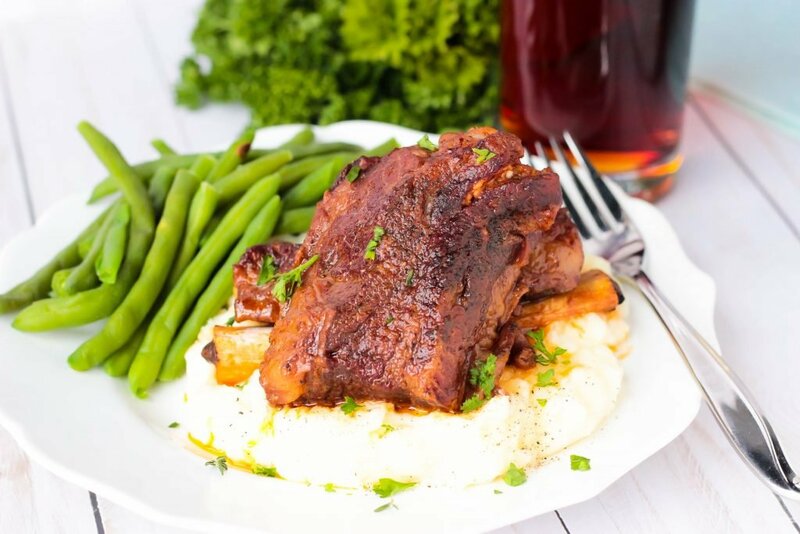 This recipe is my new version of my super popular Slow Cooker Short Rib recipe that I’ve adapted to work with the Instant Pot electric pressure cooker! I started making short ribs about 5 years ago and I’ve had them in my favorite recipe folder ever since. I make them at least once a month during the winter and up until now I’ve always made them in my slow cooker. 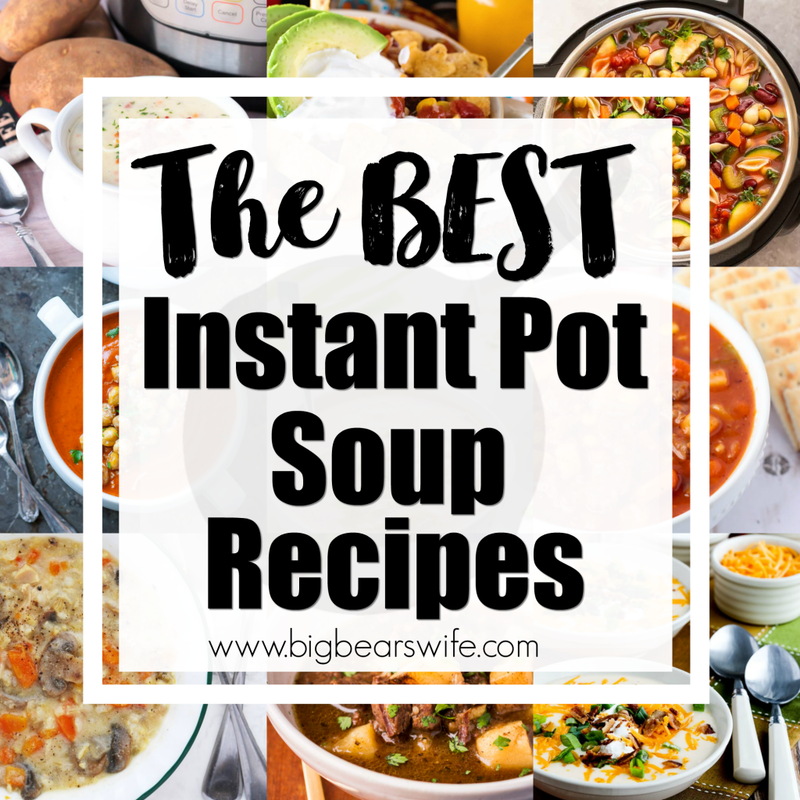 However, this past Christmas is when I received my Instant Pot as a gift from Thomas and I’ve started turning some of my favorite slow cooker recipes into Instant Pot recipes. 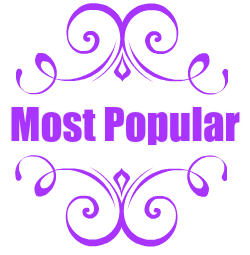 I know a lot of y’all are loving your Instant Pots too! 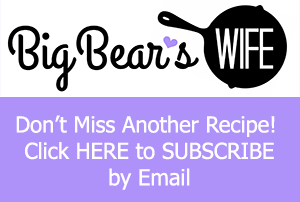 You’re going to be crazy about this recipe, y’all! Ps. 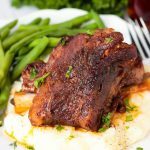 did you know that the original slow cooker recipe (Slow Cooker Short Ribs) that this recipe was adapted from is one of the MOST POPULAR recipes on my blog? It is! I hope that y’all love this Instant Pot version just as much as y’all have loved the slow cooker version! So to make this recipe, you’ll need an Instant Pot (an electric pressure cooker), some short ribs and a few other simple ingredients. You can find the entire recipe at the bottom of the post. 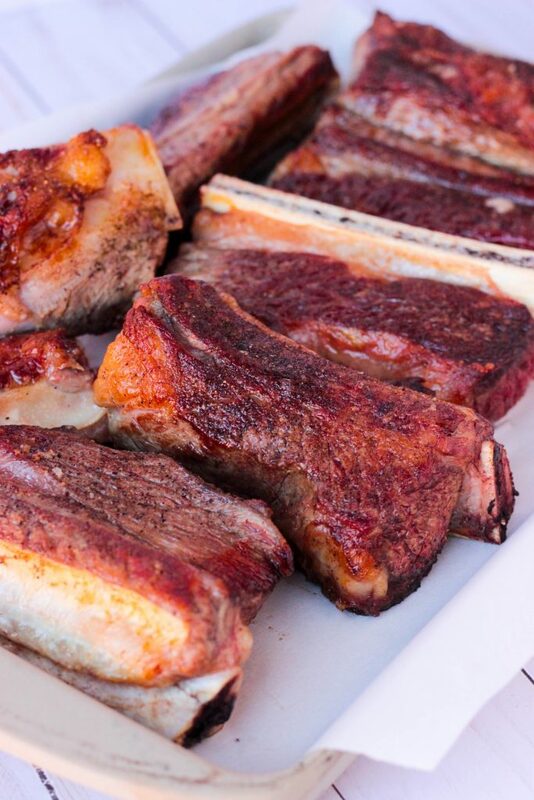 Oh and since I know someone will ask… I’ve only made my short ribs recipes with bone in short ribs. It’ll probably work just as well with the boneless short ribs that you can get but to be honest, I’ve never made these recipes with the boneless ones, so I’m not sure if the time is the same. Also, y’all…don’t skip the browning of the ribs. I know that on my slow cooker version that a lot of people have e-mailed me asking if they could skip that part. While I’m not going to curse your short ribs if you skip that part, you just shouldn’t skip it. It give it flavor and a great texture and I just think that it must be done! 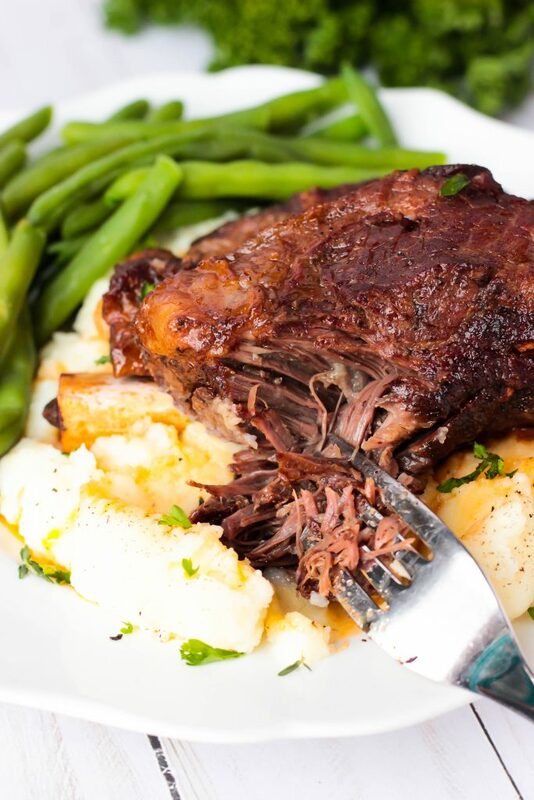 I love serving short ribs with mashed potatoes and green beans! However, when I’m eating low carb, I will leave off the mashed potatoes and serve these short ribs with greens beans and cauliflower rice. You can totally serve any of your favorite sides with these short ribs. 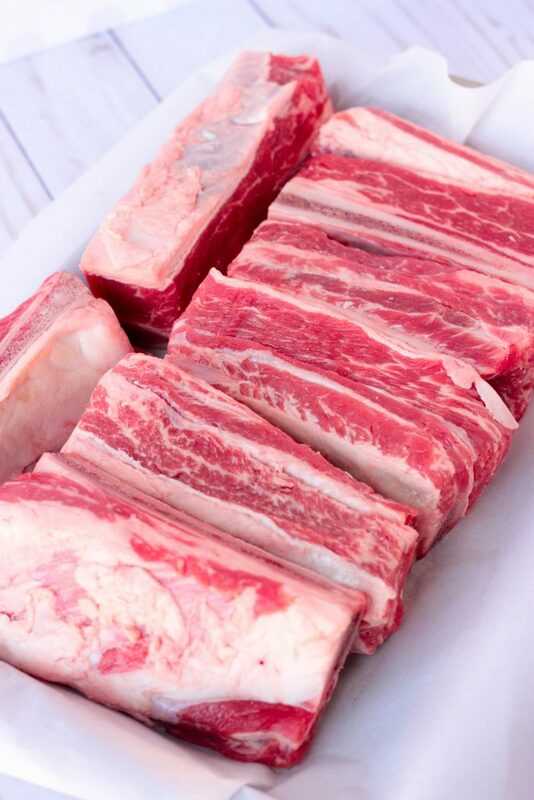 I bet mac and cheese or my favorite Broccoli and Cheese Risotto would be fantastic with these short ribs as well! 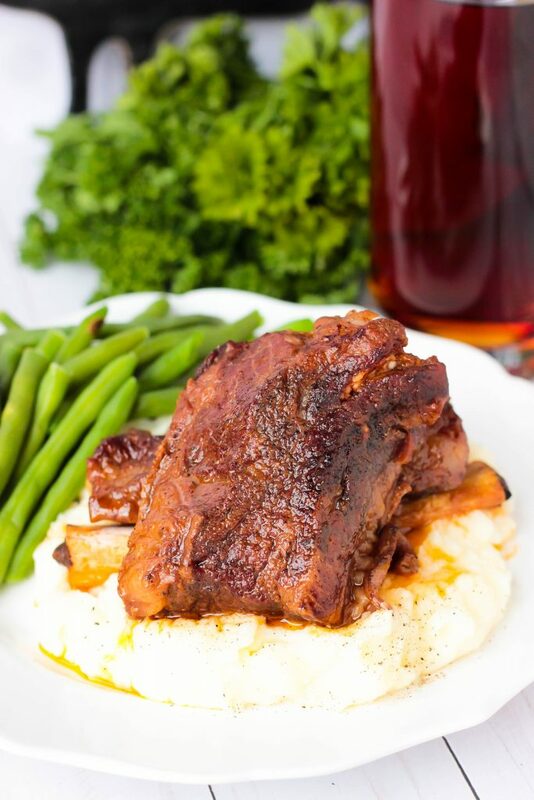 No matter what side dish you pick, you’re going to love these Instant Pot Short Ribs! 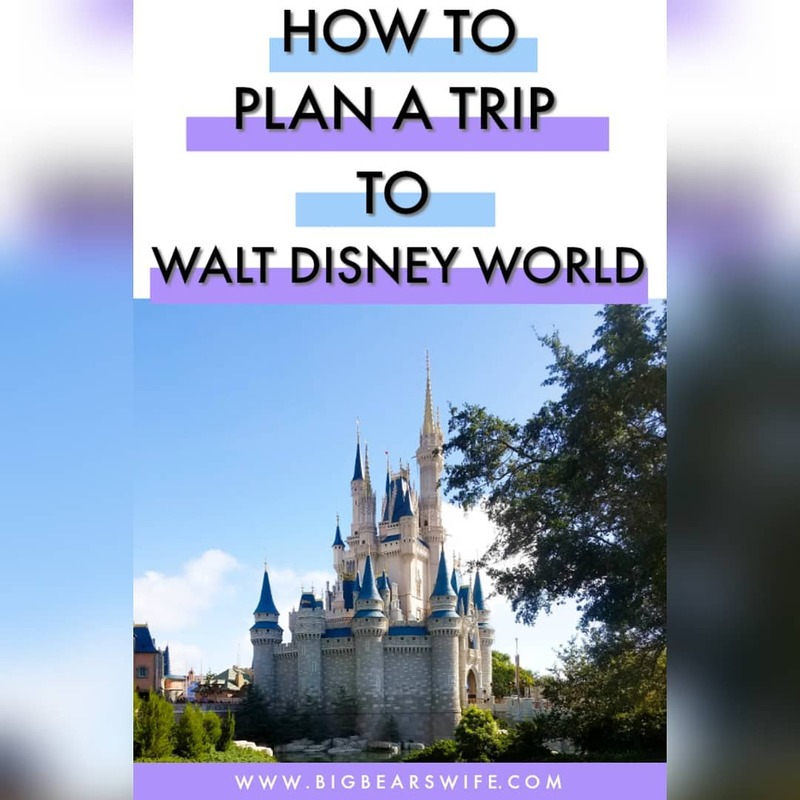 Don’t forget…if you don’t have an Instant Pot, I’ve got a Slow Cooker recipe here! Select the Saute Button on the Instant Pot and set it to normal. Sprinkle the short ribs with salt, pepper and onion powder. In a medium-large bowl mix together the broth, tomato paste, Worcestershire sauce, garlic, and honey. Whisk to combine. Set aside. Cook for 3-4 minutes or until browned. Flip and cook the other side for 3-4 minutes or brown. Remove from pan Instant Pot and set aside. Finish all ribs. Pour a little of the the broth mixture into the pot and use a wooden spoon to scrape the bottom of the pot to get all of those browned bits into the broth. Pour on the rest of the broth mixture. Put the lid onto the Instant Pot and seal it, making sure the vent on top is in the correct position. Cook on high pressure or the stew option for 45 minutes. When it\'s done cooking, let it release naturally for 20 minutes and then use the quick release on top to depressurize the Instant Pot. DO NOT use the quick release without letting it release naturally. The meat could seize up and be tough, tough, tough! If you want a sauce for the ribs, remove the ribs from the pot. In a small bowl mix together 1 tablespoon water and 1 tablespoon cornstarch together. Pour into broth, hit the saute button, cook and stir until thickened. 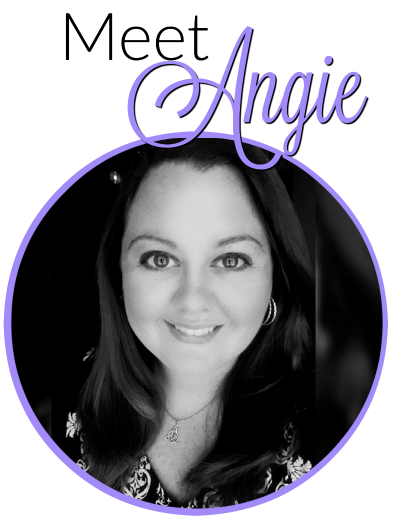 I love to see what your cooking from the blog! These sound and look amazing!! I am a sucker for short ribs any way! Hope that you love them!! How much cornstarch at the end to thicken up the sauce with the 1 Tbs water?? 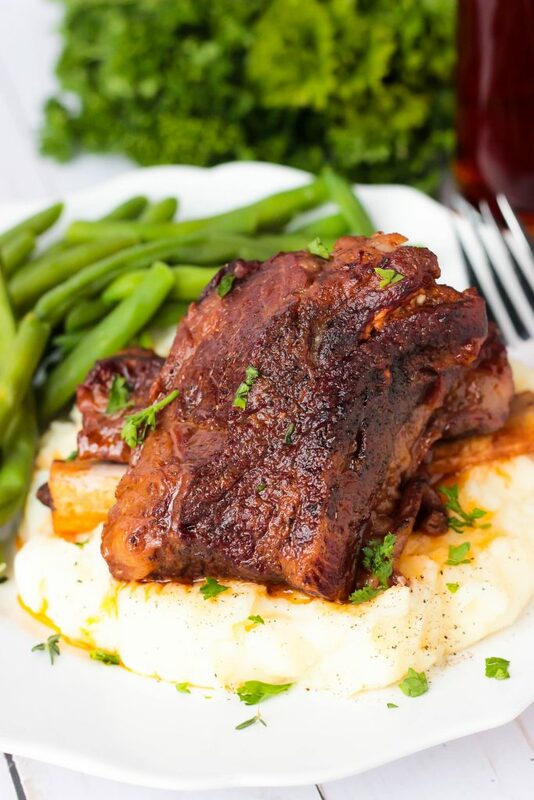 Your Short Ribs would melt in your mouth, I just pinned them and can’t wait to try them! Hope you are having a great week and thanks so much for sharing your awesome post with us at Full Plate Thursday! Where does the garlic go? My first recipe in my instant pot — AMAZING! I did use a bit more cornstarch and water to thicken the sauce in the end as we wanted more of a gravy. Can’t wait to make again! I made this last night. It was excellent (photo below). Meat was fall-apart tender and moist. I added carrots to the instant pot, along with the meat. I served it over mashed cauliflower with spinach. The only suggestion I would make is that the amount of corn starch in the recipe (for making the gravy) was insufficient to adequately thicken it, so I had to double that. Here’s the photo. OH MAN!!!! These were to die for!!!! I was looking for a recipe that didn’t have a ton of ingredients. This was PERFECT!! Loved them so much! Yay!! I’m so happy that you loved them! I am going to ty these for tonights dinner. The ingredients so very good. A good combo…. Is this recipe enough for three people? I have always heard that if you are needing 4 pounds of meat, if you’re using bone in, get 8 pounds, because of the weight of the bone. Also, I like sweet sauce for ribs, can I add brown sugar to the sauce mix? These look amazing. I can’t wait to try them! Thank you for sharing! Hi! I normally get 4 servings out of this but it all depends on how much y’all are going to eat. I’m sure my husband could turn this into a 2 serving dish with his appetite sometimes haha. I go by the package weight for this recipes and I buy between 3 – 4 pounds beef short ribs based on what the package weight says. I’ve never bought 8 pounds as that would double this recipe. I haven’t tried adding brown sugar to this recipe in the Instant pot so I’m not sure how it would go but if you give it a try let me know! Made this with boneless country style beef ribs using same cooking time and they turned out delicious. Very tender and flavorful. Thank you!!! Omg these were SO easy to make!!! My husband had bought 4 lbs of short ribs and asked me to fix them for supper the next day. I searched “instant pot short ribs”. So glad to have found your awesome recipe!! Turns out, I had all the ingredients, and so gave it a try. Everything was so simple but so good! 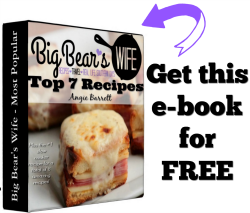 (These are the best kinds of recipes!). Onion powder in the browning?! Mind blown. Tomato paste -genius. Fall off the bone ribs – amazing. My husband and son both loved them. Hubby said they were the best short ribs he’d ever had, and he’s had a few short ribs over the years. I did try to skim off quite a bit of fat (probably about a cup or so and probably could have skimmed more out). After this, i added about 3 tbsp of cornstarch and about 1/2 cup juices to make the slurry, then added it to the broth to make the gravy. I used “better than bullion” to make the 2 cups broth. The whole thing was perfect for a winters evening. I’m doing a happy dance right now! So glad y’all loved them! So glad that you liked it! Love the idea of carrots with it! Cooked these last night and stuck pretty close to your recipe and methods. Phenomenal! Restaurant quality, falling off the bone. Served over mashed potatoes with green beans on the side. Lovely meal on a cold night. I’m so glad that you liked it Debra!! I just made this for my family. My husband has raved for the last half hour how delicious these are. Thank you very much. Couldn’t agree more about browning the ribs first. It really does make a difference. Love it! So glad you adapted this recipe for an instant pot! Looks fantastic! Oh my goodness! 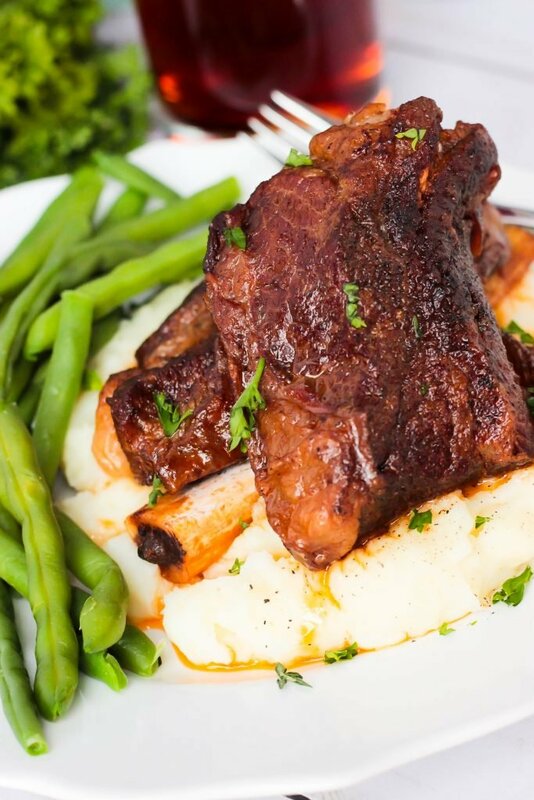 These short ribs look divine! I need these in my life ASAP! So much flavor! Ohhh my family would go crazy for these! These couldn’t look any more perfect! So vibrant, healthy and yummy! These ribs were fantastic! I didn’t want to use my wife’s fancy honey, so I substituted brown sugar as well. Also a few drops of liquid smoke gave it a nice edge, as did the chili sauce I used because I didn’t have any tomato paste. Finally, I finished them on the BBQ rather than the broiler. Fall off the bone tender, and like molten candy they were so good. My wife told me that your recipe was absolutely a keeper. I’m thawing out more ribs as we speak. Thank you for making an instant pot version. Let me know how to get a photo to you. Ooo I love the idea of the liquid smoke! I just made these and they were AMAZING! Thank you for a recipe that didn’t include red wine (may be to rich for my daughter). I just got an IP and have been experimenting with things I have never cooked before. I have had some major disasters trying new recipes BUT this was perfection!